Get The Super Screener Weekly Advantage! 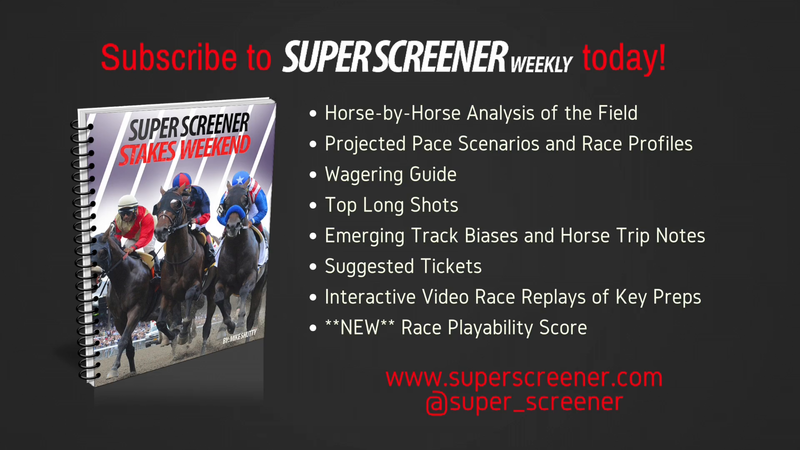 Super Screener Weekly Gives You Analysis and Picks Beyond the Triple Crown! Get the scoop on this new way to harness the power of the Super Screener from author Mike Shutty! YES I WANT SUPER SCREENER WEEKLY! Here's the great stakes action we'll be covering in Super Screener Weekly! July 4th Holiday Racing Action! Saratoga & Del Mar Heat Up!